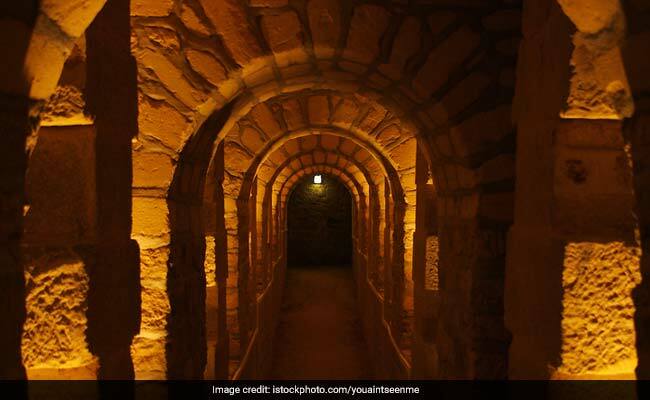 The two teenagers, aged 16 and 17, were taken to hospital after being found by search teams and rescue dogs, three days after they got lost in the catacombs in Paris. Paris: Two teenagers were rescued from the catacombs beneath Paris on Wednesday after getting lost in the pitch-black tunnels of the underground burial ground for three days. The two, aged 16 and 17, were taken to hospital and were being treated for hyperthermia after being found by search teams and rescue dogs in the early hours of the morning.